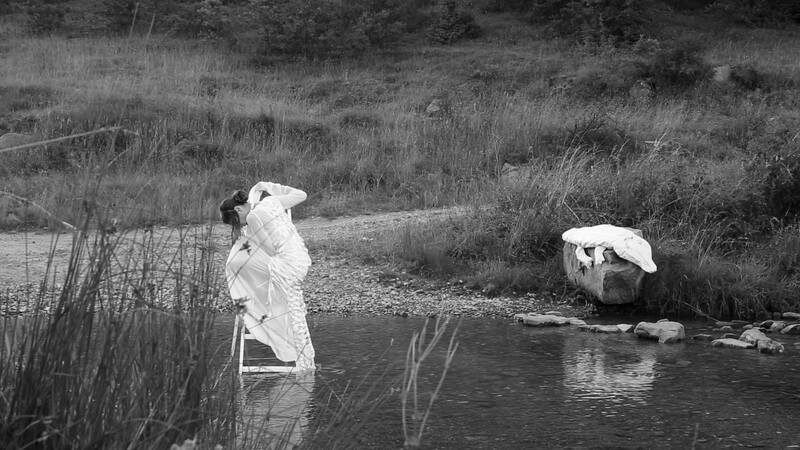 Alexander Gerginov, Antonia Pashova, Georgi Florov, Katia Lozanova, Neli Miteva, Radostina Klinkova, Sylvia Ruscheva, Stanislava Dimitrova and Antonia Raycheva turn a kilometer and a half of elastic into clothing-sculptures, video art and installation, specially created for the space of the Sofia Arsenal – Museum for Contemporary Art. How can the inclusion of a textile material, inherent in fashion, become the reason for an experiment, lead to new structures, or turn into the basis of sculptural forms to do with the garment? 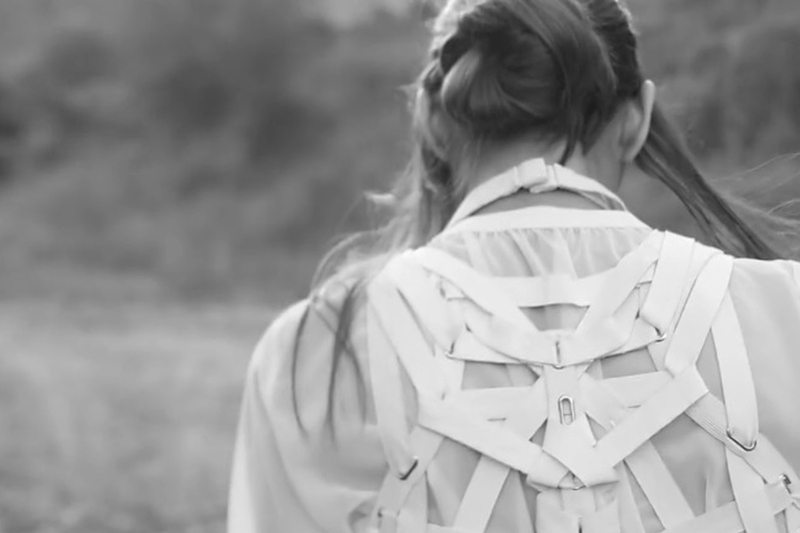 Using a preset ‘frame’—1.5 km of recycled elastic bands in black and white—the designers of the team of IVAN ASSEN 22 created conceptual models in the context of the body and its outer shell, the garment. In their individual interpretation, designers fill the ellipsis in the 1.5 km… with a visual commentary, referring to their sense of duration, distance, and transience in passing through those 1.5 kilometers. According to various viewpoints, the concept may have a positive or negative charge; it can be perceived as something that is too long, protracted, and tedious, or as something short, fast, and elusive. The manner of treating the elastic bands is absolutely free for each designer. All types of classical techniques have been used, such as interweaving, knitting, braiding, knotting, sewing, warping, patchwork, as well as experimental approaches, such as deconstructing, solidifying, corroding, and inserting into a mould. The designer models are accompanied by a video in which Alexandra Spasova experiences 1.5 km poetically absurd situations in front of Boriana Pandova’s lens. Pistolet Design Studio unites them in a common spatial installation consistent with the architectural potential of the museum. The exhibition is part of the SPACE – AUDIENCE programme of the Sofia Arsenal – Museum for Contemporary Art and is presented with the support of BIODERMA and the Gaudenz B. Ruf Award. Previous PostPrevious Моден дизайн-как го виждаме ние и защо го избрахме?